A camera is an essential piece of equipment for bloggers. However, there is no one good camera for all type of bloggers. By defining your blogging needs, you will manage to find the perfect one among the best cameras for blogging in the market today. We have compiled a list of the 10 best blogging cameras out there according to different blogging needs. Whether you are a professional or hobbyist blogger, you will definitely find YOUR best camera for blogging on the list. The Fujifilm X-T20 is the best camera for travel photography. This mirrorless camera features a compact and lightweight design. This camera captures sharp and colorful images that don’t blur around the edges like other cameras that fall within a similar budget. Apart from its compact and lightweight design, X-T20 comes with some unique features that will make your travel photography a thrilling experience. Auto Mode – This camera features an Auto Mode Switch Lever that helps you automatically set it to the optimum shooting settings. If you want to get premium quality snapshots without any manual customizations, then this is the camera for you. Superb Build Quality – Anyone who has tried travel blogging understands what we go through when capturing amazing scenes in photographs. 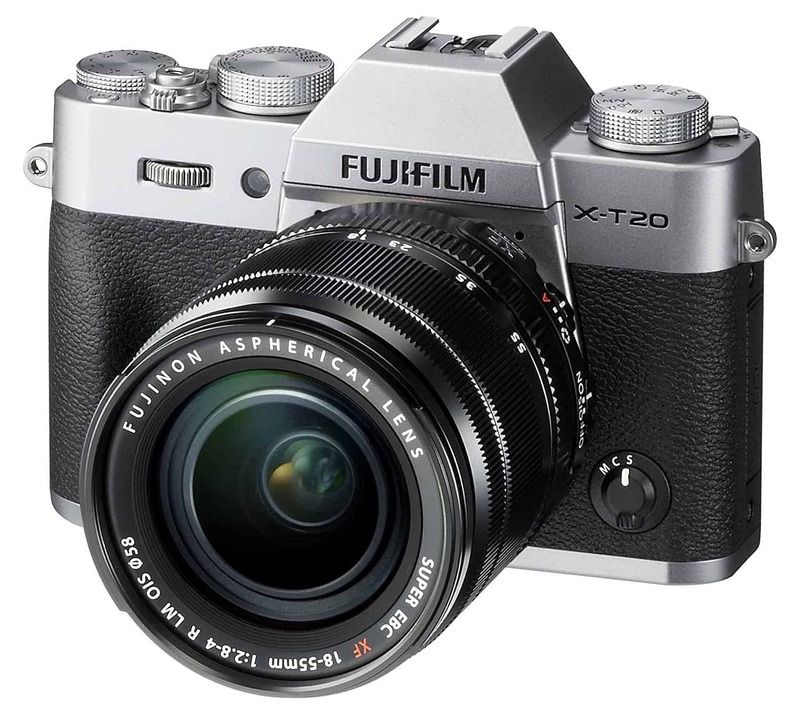 The Fujifilm X-T20 has been built to reduce staining and endure minor accidents. Thanks to the magnesium alloy shell and rubbery coating on its body that also enhances proper gripping. Shoot JPEGs on the go – no need for editing raw images. Full DSLR-style manual controls in a compact package. 24.3MP APS-C X-Trans CMOS III Sensor. UHD 4K Video Recording at 30p. 2.36M dot OLED Electronic Viewfinder. Wi-Fi Connectivity and inbuilt flash. The X-T20 is not best in class for videographic merits. If you need sharper 4k videos, we recommend the Fujifilm X-T3 or something like Sony’s a6500. If you travel a lot and want to take high-quality blogging photographs in different settings, the Fujifilm X-T20 is the best camera for you. The autofocus makes it the best mirrorless camera for travel photography at a reasonable price. Canon EOS Rebel T6 packs premium quality DSLR features in a budget price tag. This entry level camera has easy-to-use control manuals that make it the perfect camera for vlogging. 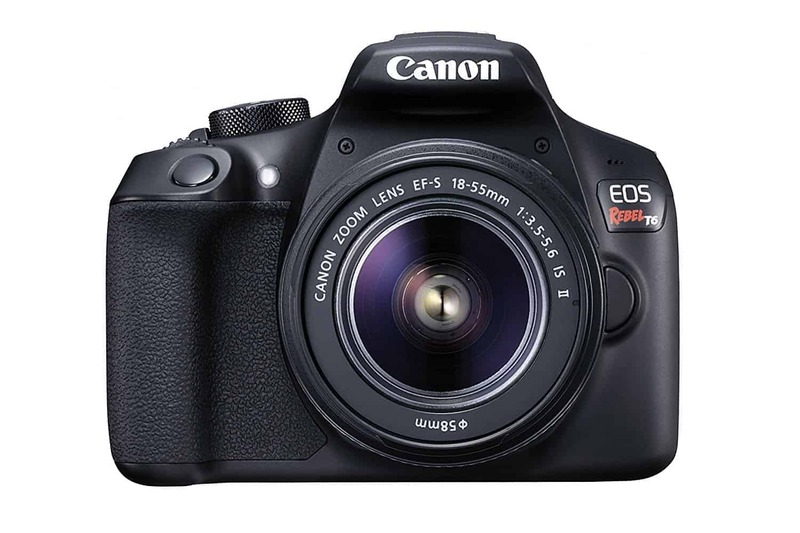 Outside the US, Canon EOS Rebel T6 is known as 1300D and the Kiss X80 in Japan. The names might have come from its unique features and customizations. Easy to Use – Set the camera to shooting mode and start taking photos. Due to Canon’s superior color rendition, you are assured of premium quality images. Pre-Customized Shoots Mode – A fun feature is the FOOD mode that lets you take pictures of what you eat as you travel around the world. Quick Control Menu – The menu is large and easy-to-read, even when shooting on a sunny day. The Rebel T6 comes with full auto modes. If you are new to photography, you won’t be intimidated when customizing the camera modes for perfect photos. Complete Kit – Rebel T6 comes as a complete kit with three lenses (18-55mm EF-S f/3.5-5.6 IS II Lens, 58mm Wide Angle Lens, and 2x Telephoto Lens), 48GB SD Memory Card, Flash, UV Filter Kit, Tripod, and other photography accessories. That’s more than you need when starting your blogging journey! Right-hand side controls and buttons for easy one-handed shooting. HD video and DSLR quality images. Unfortunately, the Rebel T6 features an all plastic casing that might easily break when it accidentally hits the floor. But the plastic case makes the camera very light so you can easily carry it around in a purse or strap it on your shoulder. Canon EOS Rebel T6 is the best budget vlogging camera for bloggers who want to upgrade from smartphones or get their first DSLR camera. The NFC and Wi-Fi allow for instant photo sharing into your smartphone and laptop while you enjoy traveling. It is the best selling DSLR camera on Amazon right now in this price range! The Canon EOS 70D still stands as the best YouTube vlogging camera in 2019. It might have been superseded by the Canon EOS 80D, but it still carries everything that you need in a video blogging camera. It has been labeled as Canon’s enthusiast-focused DSLR due to its amazing features and comfortable feel! 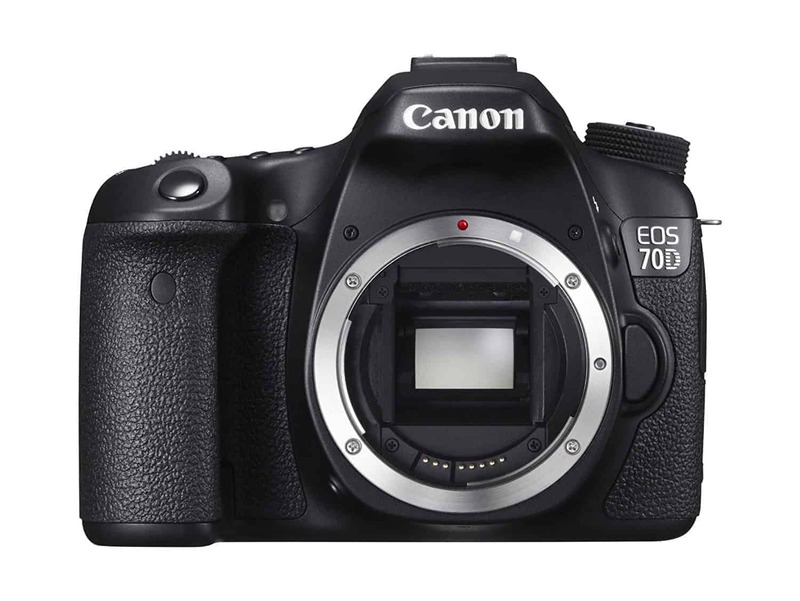 You can choose to purchase only the body of the Canon EOS 70D DSLR Camera. However, you will miss the advantages that accrue from getting the video creator kit. The kit is complete with Rode VIDEOMIC GO microphone, 8-135mm Lens, and 32 GB SD card. We would advise that you consider the kit unless you already have a good mic and lens. Autofocus Technology – Canon EOS 70D has three autofocus selection modes: 19-point area AF, Zone AF, and Single-point AF. The 19 AF are all cross-type, which allows for greater sensitivity. Coupled with the Dual Pixel CMOS AF, you will enjoy shooting in Live View with a precision that is similar to that of a camcorder. Easy to Operate – The EOS 70D is the YouTube camera for non-techies who want to venture into vlogging. Once you get the video creator kit, all you need is to insert the SD card, mount the Videomic Go on the hot shoe of the camera, plug in the 1/8″ (3.5mm), and voila you are ready to shoot! Convenient Wireless Technology – Despite its compact design, Canon has incorporated cutting-edge wireless technology in the EOS 70D. With the free Canon EOS Remote app, you can remotely operate the camera’s exposure settings like the shutter, focus, and aperture using a smartphone. This feature is handy when you want to shoot from a distance. A highly-responsive, articulated 3” touchscreen. An excellent facial autofocus – perfect if you intend to record tutorials and webinars. Lightweight and with plenty of controls. Can work with any EF or EF-S lens. 20.2 MP APS-C CMOS sensor and DIGIC 5+. Inbuilt Wi-Fi for remote control. Up to 7 fps shooting. Built-in flash with integrated Speedlite transmitter. The Canon EOS 70D has many excellent features, but there are two things that might not work for you. It is not a 4K camera and doesn’t respond well in low light. However, if you are intending to shoot high-quality YouTube videos, you don’t need 4K. If you intend to shoot outdoors during the day or in a well-lit house, you will still get amazing videos. The Canon EOS 70D is the best YouTube vlogging camera because it allows you to track moving objects consistently and smoothly as you shoot in Live View. The wireless feature means you can instantly share the images and videos. If you are looking for the best camera for blog photos and video blogging, this is a camera that does both very well. 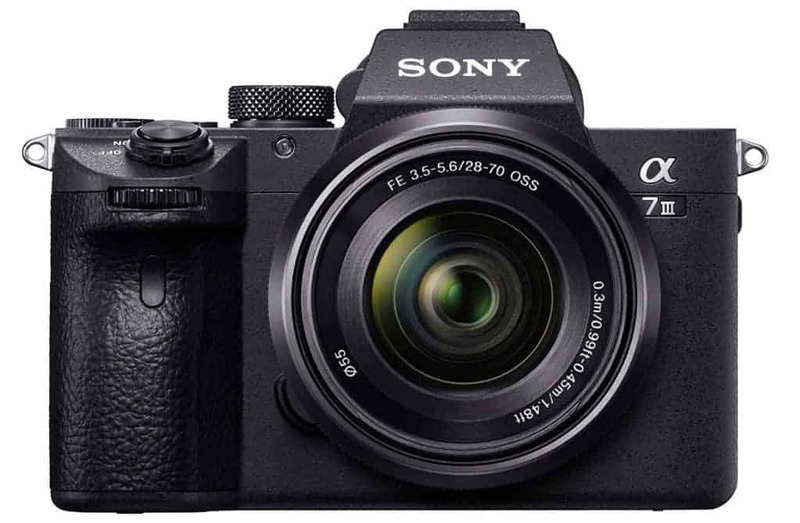 The Sony Alpha A7 III is among the best mirrorless cameras for professionals on the market. It combines efficiency and high image processing power to give you an all-rounded blogging camera with impressive shooting speeds. The Alpha A7 III combines its great build quality and amazing features to offer you a magnificent camera. Its body is made out of magnesium alloy and is dust and moisture sealed. 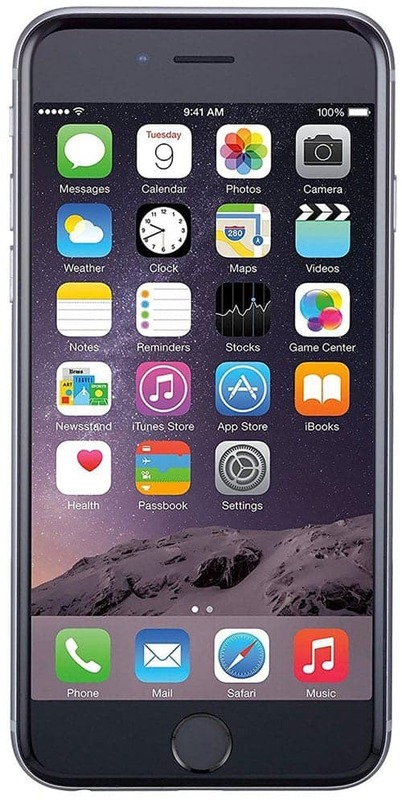 Superb Battery Life – There is nothing as disappointing as having a great camera with poor battery life. Sony understands this and that is why it has incorporated a high-capacity NP-FZ100 rechargeable battery in the Alpha A7 III. Its capacity is 2.2x of what you would get in the NP-FW50 W-series battery. If you need to have your battery last an entire day, this one will! Brighter and with Amazing Focus Speed – It can be tough to get amazing photos after the sun goes down or when shooting indoors. This camera is faster and has more reliable focus speeds for those times when you need to take photos in low light environments. 4K Full Frame HDR – High-resolution full-frame 4K movies with full-pixel readout without pixel binning that condenses approximately 2.4 times the amount of data required for 4K movies results in minimal moiré and jaggies. Better Control – The customizable menu allows you to control your shooting experience with only a few buttons to click. The dials and buttons have a professional feel and the grip is sturdy. Autofocus can acquire a target in near darkness. Budget-friendly price point – essentially feels like a scaled down Sony A9 and Sony A7R III. The mount and certain lenses may allow for dust to get in onto the sensor. For those who need the camera for vlogging, there is no forward facing screen. The higher priced Sony A7R III camera body is made out of magnesium alloy and is dust and moisture sealed. It also has high-resolution EVF that is not only large but also fast and responsive. The new Nikon D850 DSLR is a close competitor! 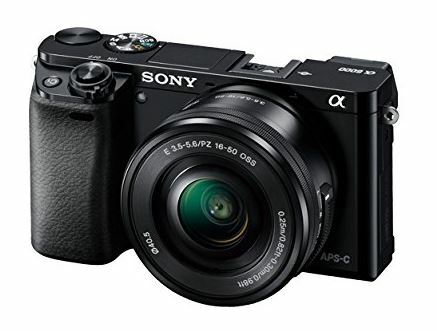 The Sony Alpha A7 III is the best mirrorless camera for professionals in this price range. With its amazing image qualities, high resolution, pixel shift, and ability to shoot 4K30p videos, it’s a camera we recommend for all types of blogging and vlogging needs! Imagine a 4K video action camera that packs tons and tons of amazing features and accessories and only goes for less than a hundred bucks? Well, that is FITFORT Action Camera for you! FITFORT is among the best cameras for blogging your outdoor experiences. Record your tours around the city, hiking along the trails or kayaking down a river. Ergonomic – FITFORT gives you most of the GoPro HERO6 features at one-fifth of its price. It combines a compact design and easy-to-use controls. The remote works well, while the free phone app enhances the amazing experience of using this camera. WaterProof – FITFORT Action Camera lets you document underwater diving and snorkeling adventures due to its waterproof body! Numerous Mounting Options – There are over 7 mount options to help you record your video blogging. You can attach it to a bike, boat, skateboards, your wrists, helmet/hat, or head. 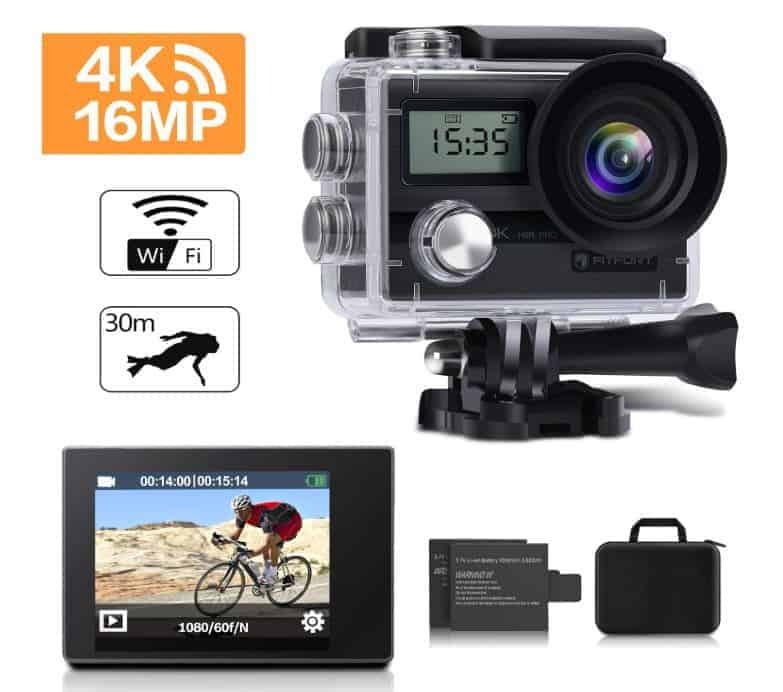 A Complete Kit – FITFORT Action Camera is a complete that comes with a waterproof case, two 1050mAh rechargeable batteries, 2.4G remote control, 7 mounts, bicycle stand, 2 helmet mounts, 2 clips, 5 tethers, bandages, USB cable, protective backdoor, and lens cloth. This kit is all that you need for extreme sporting on the road, under the sea, and in the woods. Wi-Fi connectivity for easy sharing. Connects to iOS and Android devices via the EZ iCam App transfer videos and photos wirelessly. The wrist remote lets you start or stop recording or take pictures with much ease. Strong build quality that withstands falls. 16MP Camera capable of capturing 4K videos. Records 4K Ultra HD videos at 2880 x 2160 (25fps), 1080p videos at 60fps or 30fps, and 720p videos at 120fps. Inbuild 1/3/5 minutes screensaver for power saving. Underwater recording to depths of 30m(100ft). Each battery supports up to 90 minutes of recording. With two batteries in the kit, you will have three hours of recording between every charge. If you are looking to enjoy a whole day of sporting, you will want to pack your battery charger. You will also need to buy a MicroSD memory card separately (supports up to 32GB). If you love outdoor experiences like hiking, biking, diving, and skating, you will enjoy this FITFORT Action and Underwater Camera. It will take great shots of your pets, food, and still images if lifestyle blogging is your niche. A good budget friendly action and underwater camera is worth every penny! Not all bloggers are into video blogging. If you are among the few that only want a sturdy point & shoot blogging camera, the Panasonic Lumix DMC-FZ80 gives you just that. You will get high-quality photos at a budget price! The DMC-FZ80 is an upgrade from its predecessor Panasonic Lumix DMC-FZ70. It has now been equipped with a better EVF, Wi-Fi connectivity, 4K video capture, and an LCD touchscreen. It comes travel-ready with a USB for camera battery charging. Ergonomic Design – Due to its ergonomic grip, Lumix DMC-FZ80 will fit perfectly in your hands. Furthermore, its sharp viewfinder is clear even in bright sunlight. Despite being a DSLR camera, it is light and compact. Easy-to-Use – With this bridge point-and-shoot camera, you won’t even need a manual to start taking high-quality blogging snapshots. We would recommend this camera to any non-techie bloggers who want to take images of food, streets, cars, family and friends. It also works with Panasonic Image App for photo sharing with iOS and Android devices. High-quality images even in low light. 30fps 4K Photo capture and video shooting at 100Mbps compression rates. 3” fixed rear touch control LCD. Optically stabilized 20-1200mm (60X) LUMIX DC VARIO lens. LUMIX DFD focusing system for fast and accurate focusing. Despite shooting 4K videos at 30fps (100Mbps), 1080p at 60fps (28Mbps), 1080p at 30fps (20Mbps), and 720p at 30fps (10Mbps) in MP4 format, it lacks AVCHD compression. This might be a drawback for those who are looking to shoot videos with a cinematic look. 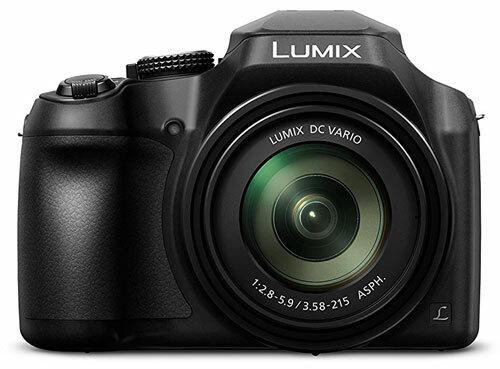 The Panasonic Lumix DC-FZ80 provides excellent zoom coverage and 4K photo and video features at an affordable price. This is the best ready-to -use point and shoot camera for travel blogging at a reasonable price. If you don’t need a lot of frills in your blogging camera, the Canon PowerShot G7 X Mark II is an excellent bargain. It takes high-quality video and images and is small enough to fit a backpack or purse. Ergonomic Design – PowerShot G7 X Mark II comes with a premium set of specifications in a body that can awesomely fit in your pocket. The compact body makes it a nice blogging camera with a tilting screen that lets you record Full HD videos, which includes selfie mode! Wi-Fi and NFC Connectivity – Easily share your videos and photos with other devices like smartphones and laptops with the NFC and Wi-Fi connectivity features. You can shoot images in raw format and easily edit them on your laptop on the go. Autofocus – PowerShot G7 X Mark II’s small body might deceive you to think that it lacks the features of larger cameras. This camera has a 31-point AF with face detection and useful AF-Assist beam that will quickly focus on the subject. Captures over 265 shots per charge. Full HD 60p video recording. 4.2x optical zoom (24-100mm equivalent). Raw or JPEG format shooting. 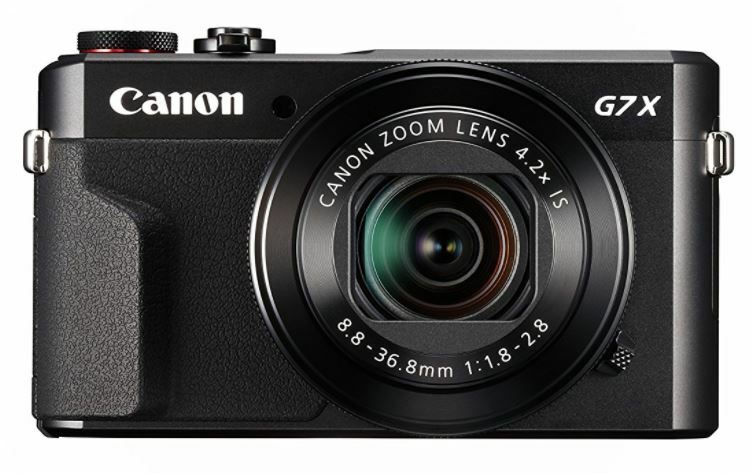 Canon PowerShot G7 X Mark II shoots 1080p Full HD video in MP4 format with stereo sound. However, the fact that it lacks 4K and a viewfinder might be a disadvantage for some people. It’s a bit harder to focus on small subjects like macro details on flowers. But it works perfectly when the details are larger. The PowerShot G7 X Mark II is what we recommend as the best camera for lifestyle blogging. If you need to capture amazing images, but don’t really need them to be professional quality, this is the camera for you! 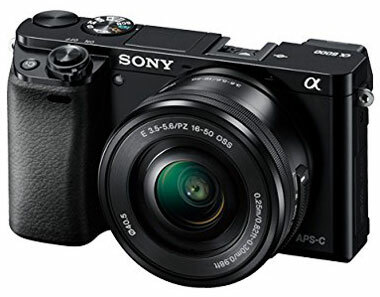 The Sony Alpha a6000 mirrorless camera combines portability and quality. It has a unique shape and lightweight design. The camera offers full HD AVCHD Ver.2.0 and MP4 video recording at 1080/60p and 24p. The images are high-quality and look really professional. The Bionz-X processor gives this camera an incredible processing power. You will notice that it starts and shoots in hi-speed burst mode. Easy to Use – The Alpha a6000 controls are easy to access and use. They give you full DSLR control so you can take photos like a pro. Perfect Design – Sony has designed the Alpha a6000 in such a way that the aperture and shutter controls are on its shoulder just behind the selection wheel and shutter dial. Further, they made a clever move by placing the movie record button on the molded rubberized grip where the thumb naturally rests. It is easy to access but hard to press it accidentally. Autofocus – Experience an exceedingly fast response time when shooting with the Alpha a6000. Thanks to the 179-point hybrid auto-focusing system. It works perfectly even in the low ambient light. Combines aesthetics and all-rounded performance. Full HD video recording at 1080/60p and 24p. 3” tilting LCD screen (921,600-dots). The Sony Alpha a6000 lacks a touchscreen and the current screen isn’t fully articulated. 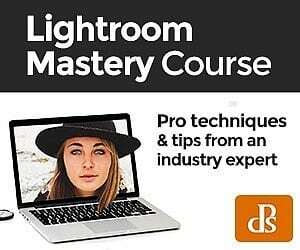 However, if you are just getting into landscape and portrait photography or outdoor adventure for YouTube Vlogging, it packs more features than what you will actually need. For $200 more, you can upgrade to the Sony Alpha A6300 and get the 4K video recording feature. If you are a blogger who wants all the features of a DSLR camera without the bulkiness, the Sony Alpha a6000 gives you just that! 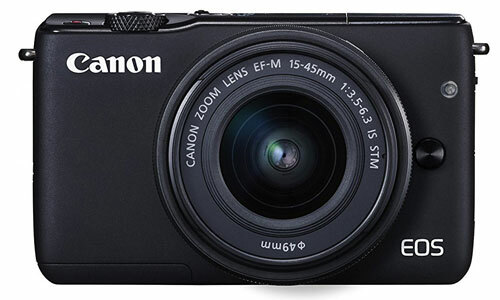 This is the best compact camera for blogging, especially for those who are not tech-savvy. The Fujifilm X-A5 camera is all about sleekness. Both the design and photos it takes are superb. 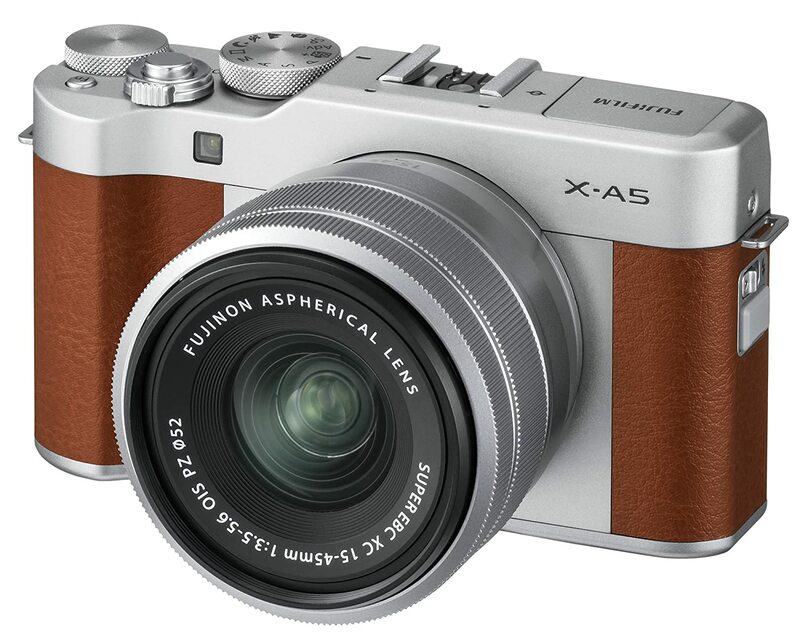 The X-A5 is a little bit heavier than other mirrorless cameras, but it’s not as bulky as a DSLR. Powerful and Stylish – Most of the Fujifilm X-A5 users agree that it is the best blogging camera for landscape photography. Its awesome build quality, beautiful design, and DSLR-like functions complement the high-quality photos and videos that it takes. 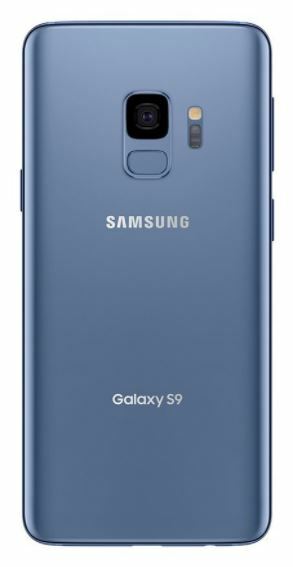 Its body features an aluminum style with leather accents. Full-Control Options – Apart from all the controls and features that you would have gotten in a DSLR camera, you also get a swivel screen. It lets you take photos and videos from different angles. You can even flip it around for a selfie shot! This is the only vlogging camera with a flip screen in this guide. Bluetooth Technology – Transfer still photos and videos to your tablet and smartphone devices quickly and easily via Bluetooth. You can also share and transfer these photos to mobile devices with the help of the free Fujifilm camera remote app or Wi-Fi. 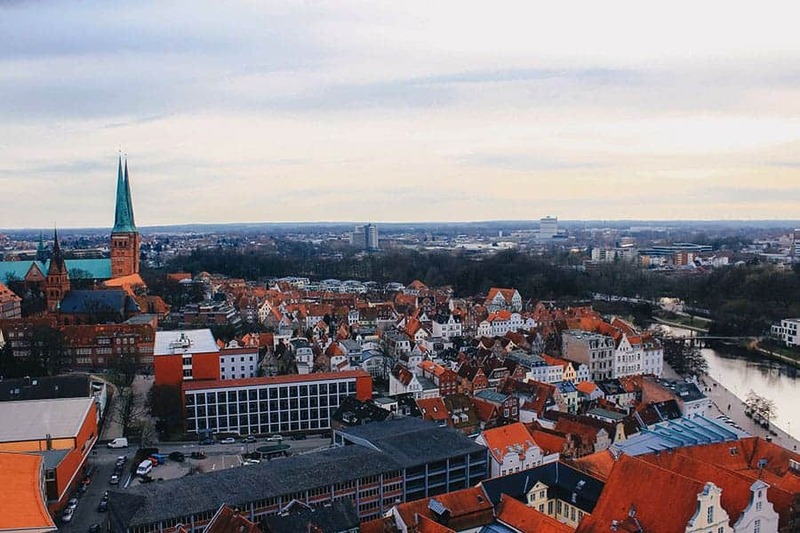 Panorama Mode – The panorama mode automatically adjusts and stitches your images together so you don’t have to worry about connected images. High-quality images even in low lighting. Durable batteries that can shoot up to 450 photos. XC15-45mmF3.5-5.6 OIS Power Zoom Lens. Large rear touchscreen LCD monitor that can rotate 180 degrees. High resolution and high Definition 4K video recording. The Fujifilm X-A5 lacks a viewfinder and doesn’t come with a MicroSD memory card. However, if you are looking for a landscape photography camera, it packs all the features you need. Fujifilm X-A5 mirrorless camera is the best blogging camera for landscape photography. It is also the sleekest retro camera for selfie lovers. 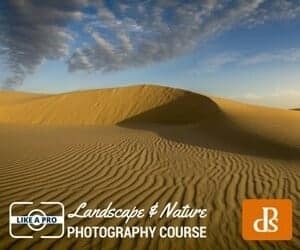 If photographing landscapes is your niche, you need to consider it as your best camera for your blogging needs. It will perfectly fit in one pocket of your carry-on bag. Not all bloggers can afford the nine best cameras that we have listed above. If you are a budding blogger who doesn’t want to spend a fortune on a camera, you can definitely use the camera on your phone to capture photos and record videos! Google makes the phone with the best smartphone camera. Performs more consistently in lower light. Creates Portrait Mode-style pictures with a stylish background blur – with the front camera which will help you up your selfie game. Apple stands out when it comes to its 2x optical zoom. A 12-MP wide-angle shooter and a 12-MP telephoto lens that let you zoom in for a more detailed image without losing sharpness or clarity. Portrait Mode where you can add lighting and blur effects to photos. The front TrueDepth camera allows you to add Portrait Mode effects to your selfies. Second rear lens to capture Live Focus shots with blurred backgrounds. Variable aperture on the main rear camera. 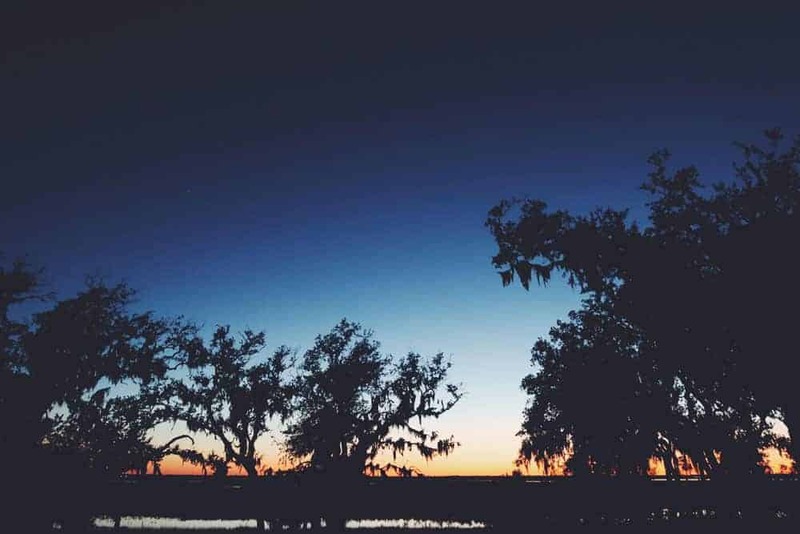 In low light settings, your photos look sharper, even when you capture them in the dark. Dedicated memory aimed at reducing noise in your finished photos. Apterture is better than megapixels. Cameras with a wider aperture (lower f-stop numbers mean wider lenses) let in more light, which can help produce better shots in the dark. Find out more about the dual lens. While more smartphones are featuring dual rear cameras, those cameras don’t necessarily perform the same. Some phones use their dual lenses to allow for depth-of-field effects, but others just let you switch between wide-angle and standard lenses. Do you need portrait mode? Basically, portrait mode it bokeh. That’s where the subject of the photo is in sharp focus, while the background features an artistic blur. The dual-camera phones can usually do this. Some phones also let you adjust the effect before and after you take a shot. The front camera specs are also important. Bloggers take selfies so don’t overlook a phone’s front camera. 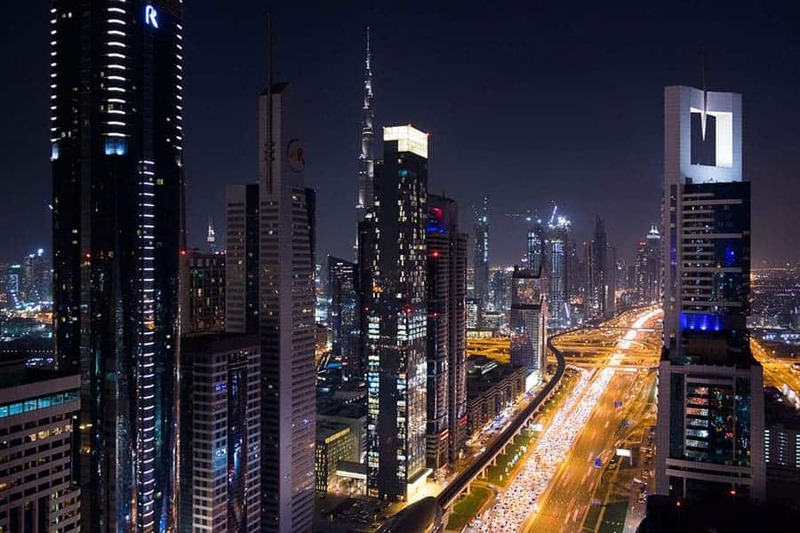 Besides the megapixels, check out the aperture to get a sense of how the camera will perform in low-light. Some front cameras can perform the same Portrait mode effects that dual rear cameras pull off. Don’t forget about video. Both still images and video are important for a blogging camera. Consider the video resolution, the frame rate and if it offers features like slow-motion and video filters. You will need to invest in a tripod stand in order to enjoy all the benefits that accrue from blogging with a camera phone. Camera phones are best for beginner bloggers on a budget. You don’t need a manual to operate it and it will also double as your smartphone! If you travel or need a tripod that’s compact and sturdy, use this guide to help you find the best portable and lightweight tripod to suit your blogging needs, photography style and budget. There are basic camera accessories every photographer must have to transport and protect the gear and use to also improve image quality. When you’re traveling, it’s important to have the right camera gear in order to get the perfect shot. For bloggers, a picture really is worth a thousand words. 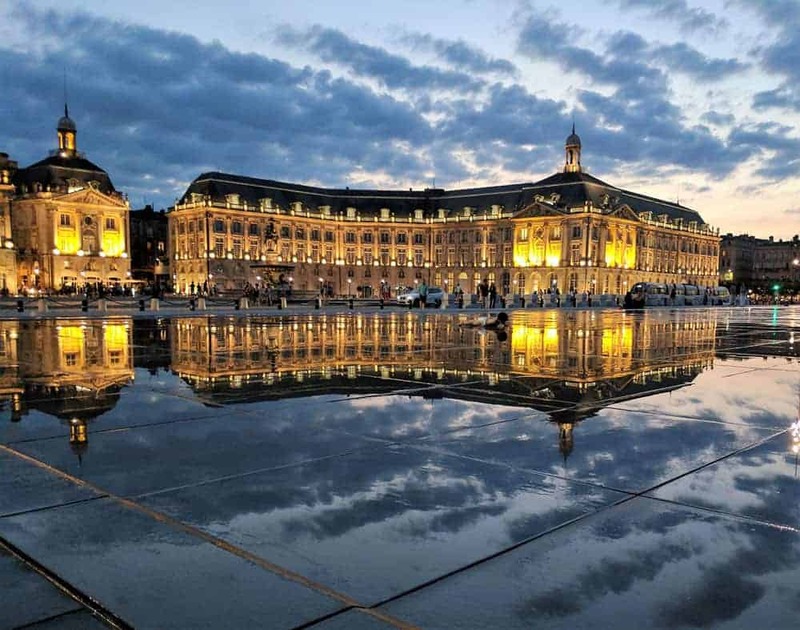 Todays’ readers want to see good quality visual images. This list of resources will help you take your photography (and your blog) to the next level. 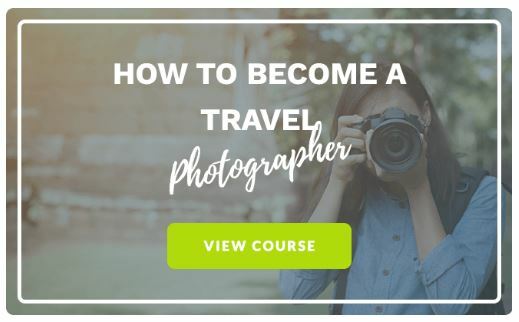 Remember – the best way to learn photography and improve your skills – practice! You can read and watch tutorials all day long, but until you practice the techniques, you aren’t going to improve! We asked fellow travel bloggers to share their favorite camera, an image taken with the camera, and why they like the camera. I use a mirrorless Fuji X-T10 and I love this camera so much. I tried a couple of other cameras before and now that I discovered Fuji, I can’t imagine using a different brand. I love it because the photo colors are great, even without editing. I like using it at night. There are no blurs around the edges of my photos, unlike its competitors. 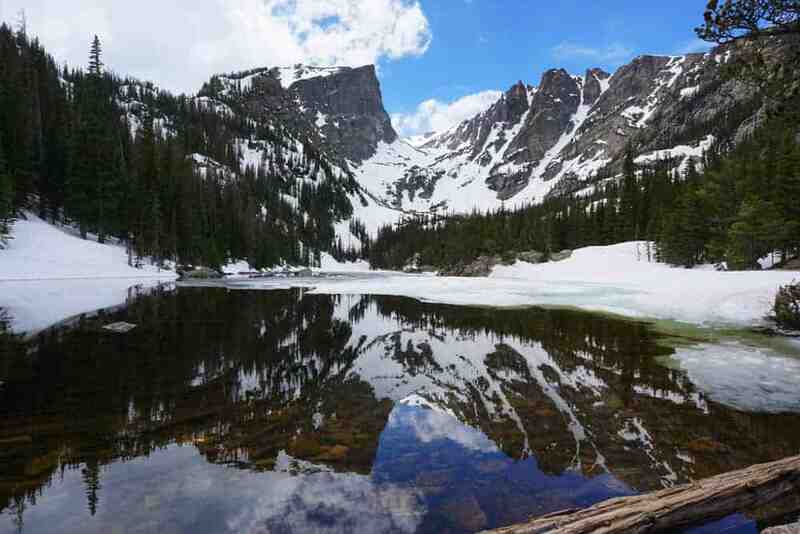 With a tripod, you can get some amazing landscape photography. 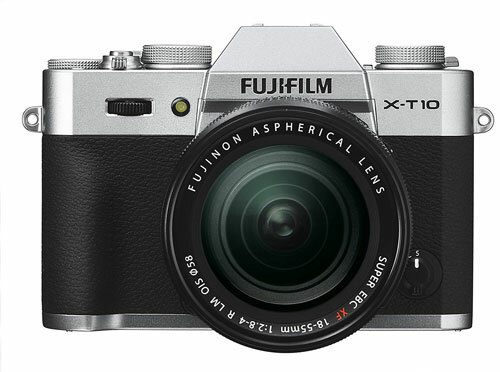 With photos that are sharp, beautiful, colorful, the Fuji X-T10 is a great camera for its price and performance. For beginners, it’s also a fantastic camera to get you started. Trust me, you will want to learn more about photography because of your new camera companion. I have my Fuji with a 16-55mm lens which I use for most of my travelling photos. I have a 35mm prime lens which is simply epic for street photography and just got a 12mm wide angle lens as well. See more of Cory’s images on Instragram and Facebook. Before getting my first Fuji X-series mirrorless camera in 2014, I usually took photos with my phone. It took my partner getting a DSLR for me to understand how much better my holiday snaps would be if I had a camera of my own. I bought my first Fuji at Manchester Airport on a whim just before getting on a plane to Italy. I was tempted by a deal on the Fuji X-M1 which meant that I got a free 50-220mm lens as well as the 16-50mm kit lens, and I made good use of the longer lens taking pictures of paragliders above Lake Garda. A couple of years later I decided to upgrade to my current camera, the Fuji X-T10. This camera shares the same 16 megapixel APS-C sensor as my old X-M1, which at 23.6mm x 15.6mm is as big as those used in most consumer-focussed DSLRs, but in a much smaller size. With lots of dials on the top panel and a user interface which moves away from the normal aperture priority/shutter speed priority it can be odd at first if you’re used to Canon or Nikon, but for me it was the perfect camera to learn the basics of camera control and get off full auto mode. These days I travel with an 18-55mm 2.8-4 lens and a 27mm 2.8 pancake lens which is so small my whole camera fits in a small cross-body bag. The rest of the time I keep my lenses in padded neoprene lens pouches and the body in another stretchy padded pouch. I’ve tried camera bags and inserts but they just don’t work for me. I travel carry on only and don’t want the extra bulk. I do love my slim leather strap which is long enough to wear the camera cross-body and complements the vintage styling of the X-T10. The X-T10 has been replaced now by the new X-T20 which adds a new 24 megapixel sensor, 4k video and a touch screen. It’s very tempting to upgrade again but for now, I’m sticking with the X-T10. Connect with Helen on Instragram and Twitter. I love everything about this camera. It packs the power of a DSLR with the convenience of a point and shoot. With a 16.1 Megapixel sensor, Full HD video recording, 20-1200mm ultra wide angle lens and x60 optical zoom – it is a versatile powerhouse of a camera that makes me happy each and every time I use it. The camera is so light and compact that I don’t actually need any special bag or carry case to travel around with it and it easily fits in my very unassuming cross body bag – which also has the benefit of not drawing unwanted attention to the camera. Read Vicki’s review of the Panasonic Lumix FZ70 which also applies to the newest version FZ80. See more of Vicki’s photos on Instagram and Facebook. 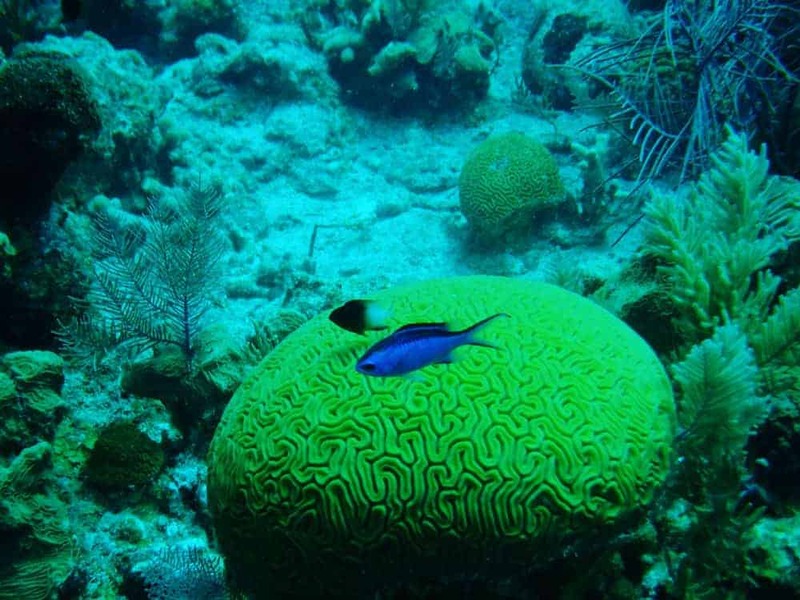 I had planned to do a lot of snorkelling and diving on my trip to Belize. It was the perfect time to treat myself to a waterproof camera to capture the underwater beauty. 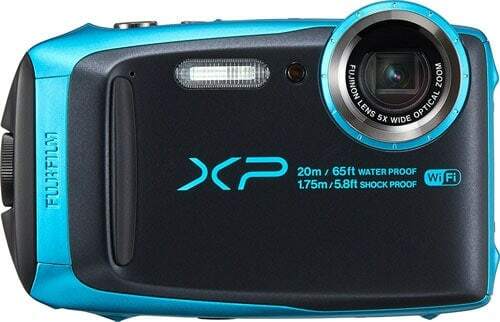 The Fujifilm FinePix XP is waterproof to 20m/65ft, perfect for the depth I can dive. It’s also shock proof from 1.75m/5.8ft which turned out to be useful after dropping it in the boat, oops! Carrying it around is easy because I don’t need to worry about protecting it in my bag. It’s a compact camera with a setting for underwater photos. Before jumping in, I changed the setting and was good to go the entire time I was under the water. The zoom is limited but perfect for underwater. The feature that really impressed me was the video function, I wasn’t expecting it to be that good. But when I came face to face with a shark I was really pleased with the finished video. The detail of the shark’s eye was almost too clear and a bit spooky to look back at. Check out my shark video on my Facebook page. See more of Becky’s images on Instagram. I use the Sony A6000 mirrorless camera. I absolutely adore it because it’s the perfect combination of quality and portability. I don’t want to have to lug around a DSLR when I’m out exploring, and the mirrorless produces high-quality images without the bulk or weight. I have a small carry case that fits the camera, two lenses, spare batteries, and memory cards. I can easily tuck the camera into my purse if I want to be even more streamlined, but I can’t carry the zoom lens that way. Connect with Kris on Facebook and Instagram. I use a Canon Powershot G7 X Mark II. I love it because it takes high quality images and video and is small enough to fit in my purse for travelling. It is wifi enabled so I can edit photos and videos on the go which is awesome. You can shoot in RAW or Jpeg format which is great if I need incredibly high resolution images for print. It also shoots video in 1080p HD and give you the flexibility of shooting in selfie mode. It is so compact, about 10 oz, so I usually just tuck it into my purse or one of the padded compartments in my backpack. Take a look at Emily’s photos on Instagram. At the moment my most trusted travel camera has been my Canon EOS M. I already had a Canon DSLR that I had been using daily, but wanted something a bit smaller. I absolutely love it for the smaller size, yet I can switch out my lenses and have many of the same features and flexibility I have with my DSLR. I enjoy that it’s much lighter on my neck and in my bag! This makes a huge difference if we’re hiking throughout the day or out and about in a large city and want to keep things light. It fits in my purse and that’s how I transport it! This way I always have it on me. Connect with Rebecca on Facebook and Instagram. 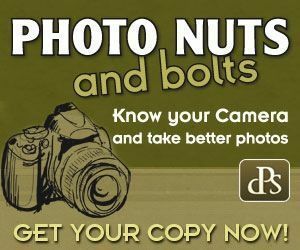 It takes beautiful, high-quality photos and has all of the functions (shutter speed, aperture) of a DSLR, plus some fun features, like a swivel screen so I can take photos from a variety of angles and even flip it around for a selfie cam! 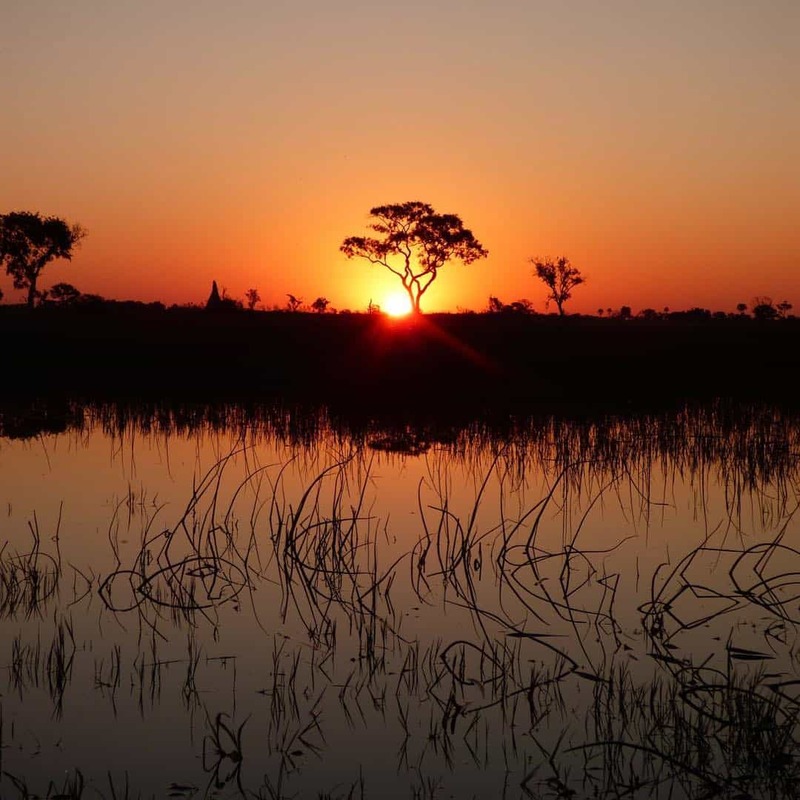 The Fujifilm x-a3 is ideal for landscape shots – some of my best photos taken with it are from when I was driving across the Nullarbor plain in Australia. I haven’t quite mastered night photos with this camera yet. I’m trying to learn how to capture the ultimate starscape photo with it! See more of Claire’s photos on Facebook and Instagram. I love the camera on the Google Pixel phone because it takes stunning pictures without me having to do much. There are manual settings in addition to the usual auto point and shoot. Of course I love it because my kids and husband got it for me as a present for Christmas! My phone is pretty much glued to my hands so it’s always with me. I take about 40 photos DAILY so the Pixel really helps me capture life on the go. Connect with Yashy on Instragram and Twitter. I am a budding blogger and also new on YouTube. I didn’t want to pay a fortune for a good camera, but I needed to use it for both pictures and videos. I have been trying a lot of cameras of friends, but none of them was producing the quality that I wanted for my photos and videos. Eventually I tested the iPhone 6 and fell in love with the quality. It works well when I mix the videos from the iPhone and an action camera. Check out my video where I used the iPhone. I also love how easy it is to transport and use. 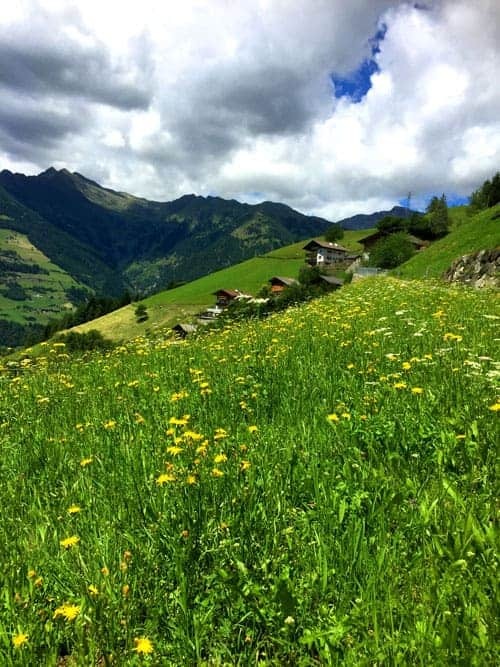 See more of Claudia’s photos on Instagram. 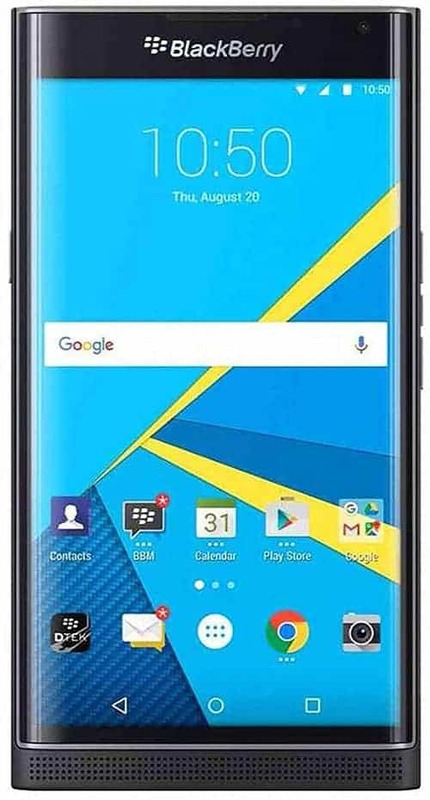 The Blackberry Priv Phone is an Amazon Choice and rates 4 stars. The camera specs on the phone are 18MP, Schneider-Kreuznach lens and f2.2. I’ve accumulated quite a collection of cameras from compacts to DSLRs, but Priv is the one I use the most for a number of reasons. Size: It can fit in my smallest bag and even in my pocket, so it doesn’t matter if I’m going on a tour, a hike or just to a cafe down the road, chances are I will have Priv with me as it’s so easy to carry it around. Quality: This is even more important than size and Priv delivers the best quality I have managed to find in a compact camera so far, with crisp colours and sharp photos in most cases with little to no tuning required. Believe me, I am super picky when it comes to photo quality! With its great auto HDR setting, in difficult lighting conditions Priv managed to produce better photos than my DSLR. Apps and connectivity: The Instagram and Facebook apps are right there on the phone, so uploading photos to my social media channels doesn’t require any transfers between devices. Connect with Helene on Instagram and Facebook. Thank you for your insight about these two cameras. Hi!!! Need help. Between Canon G7X Mark II and Sony A600, which would you highly recommend? ☺️ I’m terribly torn between the two. Thank you!!! Between the Cannon and Sony A6000, we would go with the Sony. It has much better performance, interchangeable lens capability and it’s mirrorless. But that fits our type of photography best. If you want to further discuss ‘your’ specific needs and what you’ll photograph, contact us at [email protected]. Thanks! Before i’v buy’s my camera i went to a camera event and test a lot of camera’s and i chose the nikon d750 it’s an awsome camera. the fuxi xa5 also is a fine camera. Great list! I traveled with an Olympus mirrorless om-d em10 for the last two years and it was great! 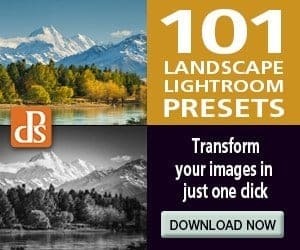 So lightweight and produced high-quality images. Just upgraded to a Sony mirrorless so now I need to adjust to carrying a little more weight. The type of camera you get all depends on your photographic needs. Hope you enjoy the mirrorless! From the list of cameras I would go with Vicki’s choice of the Bridge Camera. This camera is small enough to conceal when you are travelling to a dangerous place, most of my pics from dangerous places are taken with a bridge camera. I have been attacked in China and Poland for my Canon D1, imagine if I took it to West Africa! Also when you’re crossing borders in dangerous countries, you would be accused of being a journalist or a spy with a DSLR, whereas you can get away with a bridge. Wow, it sounds like you have some stories to tell! It’s definitely smart to go with a camera you can conceal. Awesome list. In the first half I began to wonder if any use their phone itself as camera. Darn you aren’t liking the Lenovo. I LOVE my Samsung Galaxy for photos and video. Camera phones have come a long way! This is a very useful post! I have a DSLR but it’s too heavy and it takes the entire space of my hand luggage. Actually this morning I was looking at how much a Sony Alpha 6000 would cost me. The Fuji suggestion is really interesting as well. My first bridge camera was a Fuji and I remember how amazing the colors were. I am definitely looking for a mirorless camera because they are so small but the quality is great. It’s nice to know what others use, and see images from the camera, to help narrow down the choices. Good luck with the decision! You can never go wrong with a Powershot! Do you have friends who have the Google phone so you can see the photos before buying it? I got an ancient camera body from Canon’s EOS series and I’m terrified about it falling apart soon and having to buy a new camera. I’ve been trying some newer versions of the body but they just don’t seem to compare to the old one which makes absolutely no sense! Thanks for camera inspiration, will keep these in mind when I have to change camera. May have to consider getting Fujifilm XP anyway as I’m currently relying only on Gopro with underwater photography. It’s hard to switch from something you are comfortable with. I’m also considering the Fujifilm XP for our ‘adventure/water’ photos and videos. I so glad that a fair few people mentioned Fuji cameras. I have an X-T10 and I am absolutely in love with it. 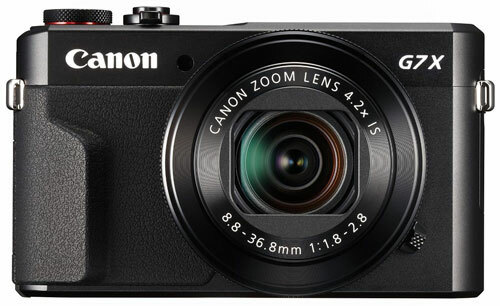 I think for the price it is probably the best mirrorless out there and the perfect camera for someone who is just getting into photography a little more seriously. I am desperate to upgrade to the X-T2 but need to save up quite a bit! Good to know that you enjoy your X-T10 so much. Why does technology have to improve so often!? It’s hard to keep up – and my wallet is never happy! Wow a great list on cameras. My favorite is Canon Powershot for clear and crisp images with great zoom power. Also you have listed another ones which are mirror less and they look interesting to me. Nowadays I have started using recently launched Samsung S8 Plus Camera which is also very great in Night mode and Cloudy modes. Output of Fuji Cameras are great even more than DSLR ones. It seems that everyone likes their Sony A6000 – thanks for sharing your recommendation for the camera as well! Wow that is quite a hefty list of options! I am thinking of upgrading my camera so this post comes in handy. The Fuji cameras definitely capture my attention! 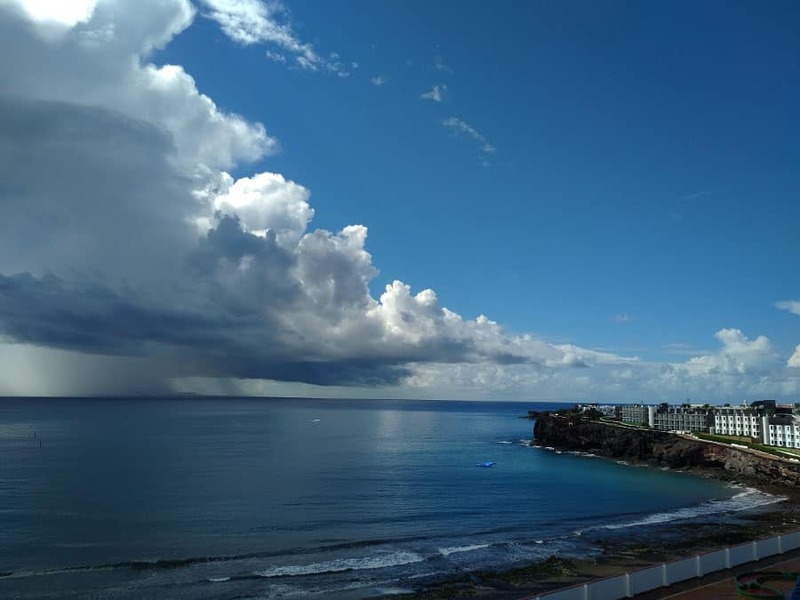 Thank you Karie – we really believe it! Simple composition elements and understanding light can make a fantastic photo no matter the type of camera. That’s so timely, as I’ve been thinking of a new camera for a while. I love the fact that the recommendations cover some different price points and include phone cameras too. Great post! 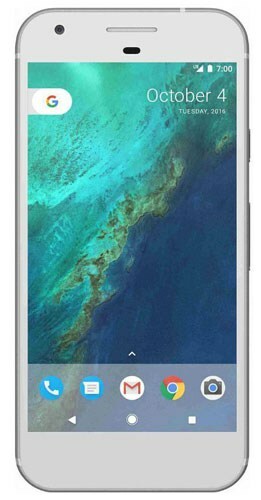 I’ve been looking at the Google pixel phone as a potential upgrade to my current phone. 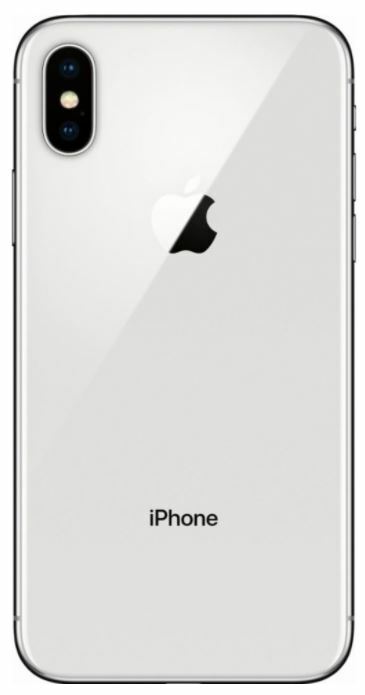 Phone specs change so fast, so I’m always hesitant to go with the newest ringer on the block. However the pixel is looking pretty good! I know, phones are upgrading and changing too fast! Great post! I just recently bought a Sony A6000, so I’m glad to see it make the list! It’s a great camera, and I’m having fun learning to use it! I’ll be exploring the rest of your site to learn some tricks! I’d chime in that my Galaxy phone is an excellent everyday/portable camera as well! I LOVE my Galaxy S7 phone as well – and I think it does wonderful video too. This is awesome! Great to see so many Fujifilm cameras!! I started shooting with a Nikon D3200 but switched over to a Fujifilm X-Pro2 last year and I love it! I like that you included mirrorless cameras too. I never thought about going mirrorless but it is seriously such a game changer in terms of traveling light. Lovely suggestions! Traveling light is KEY for many people. That’s why I wanted to share alternatives to the larger cameras with lenses that we use. Good to know you didn’t miss your Nikon when you switched to the X-Pro2. OOH I love this post! Always curious what others used! We have a Canon DSLR, but I’m looking for a smaller alternative! Great suggestions! We love our DSLR as well, but sometimes, you just need a smaller camera. I hope it helps you in your search! Lots of people are surprised when telling them that I use my phone for videos and pics. Your post shows that I am not the only one trusting the quality of a phone. Really cool post. Happy I could contribute to it. Thank you for sharing with us. I also use my phone for our videos. Camera phone image and video quality has improved quite a bit! Awesome post, with so many great camera and phone camera options! This is a great rundown. Also makes me want to go out and buy some more equipment to play around with…eek! There is always something new and fun to try when it comes to cameras and phones. I love how Claudi tried her friend’s cameras before making a decision so maybe that’s an option for you!? I found this post so helpful, I’ve got the Olympus Pen but I’m looking for something a little different specifically for travelling. I really like the sound of the Fujifilm Waterproof one, so handy for watersports etc..
I’m also intrigued by the Fuji waterproof one – it took wonderful video too! These are all awesome suggestions! I’m really interested in the shockproof and waterproof from Fuji now. Sounds fun to use. Thanks for putting this together! I know – shockproof and waterproof! I was thinking about a GoPro, but may look at this one instead…. Nice roundup! I’m surprised no one mentioned the micro 4/3 system by Olympus and Panasonic! There are a number of different bodies and HUGE number of lenses to choose from. I do wish the Pixel was a little cheaper, as I love the image quality and need to replace my iPhone 6. The criteria I gave was no DSLR, no camera that had interchanging lenses – so that’s probably why 🙂 High quality cameras always cost so much! Oooooh I didn’t realize you excluded the mirrorless systems! My E-M10 with the kit EZ lens is smaller than some of the ones included here ? It was really interesting to read about the different cameras people use! Mirrorless cameras are really growing in popularity. I actually just invested in one and will be taking it on my upcoming holiday (It’s the Olympus Pen EPL-8). I am a bit nervous about leaving my beloved DSLR behind. 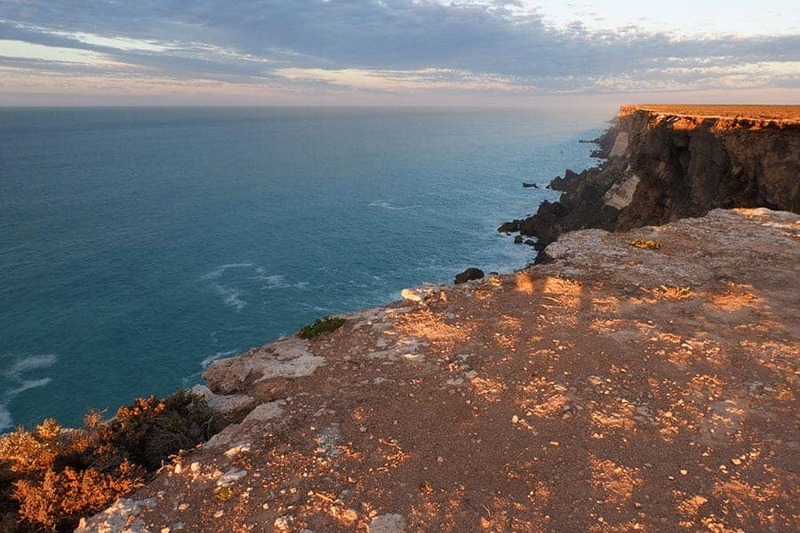 We will always travel with DSLR cameras because that’s the type of photography we do. But the mirrorless cameras definitely intrigue me – the smaller size is so nice when travelling! I hope you enjoy the camera – the photos I see from that camera are awesome! I love how there are so many Fujifilm cameras on this list! We recently upgraded from a Nikon DSLR to a Fujifilm X-T2. I love how much smaller this mirrorless camera is, and the photo quality is awesome. It probably didn’t help that I’d dropped our old Nikon so all our old pictures had blurring issues, but seriously, the Fuji pictures look so crisp and clear. Oh no! Dropping a Nikon DSLR would be heartbreaking! 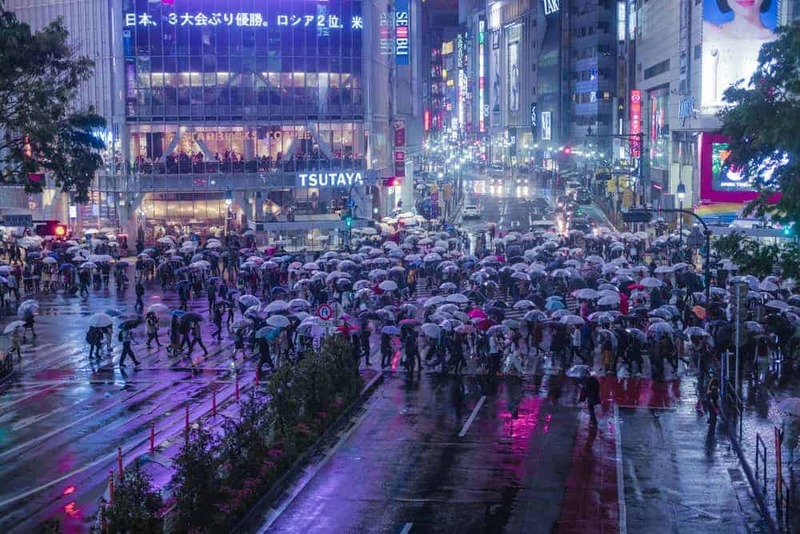 I was impressed by the quality of the images from the Fujis on this list.